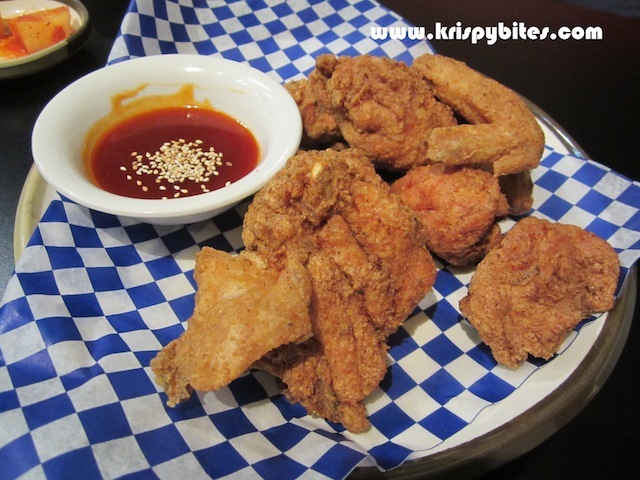 Wing Chicx is a family style Korean restaurant on the south side. 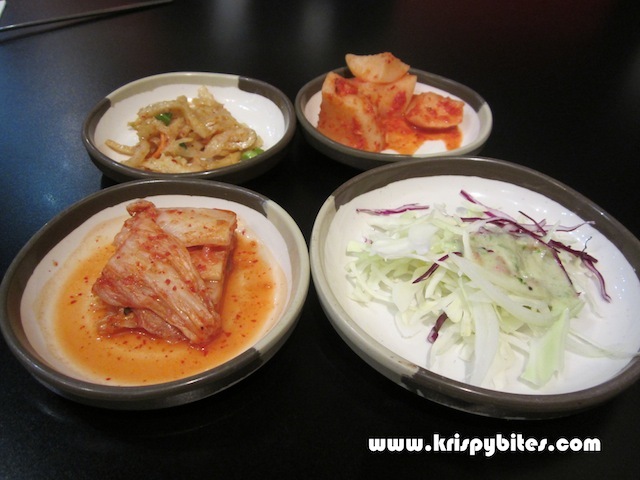 It's a small place and the menu is fairly limited, but the food is authentic and reasonably priced. Since there isn't a lot of seating available, it's best to come early to beat the dinner crowd. I was there at 5:30 pm on a Sunday night and the place was packed full. 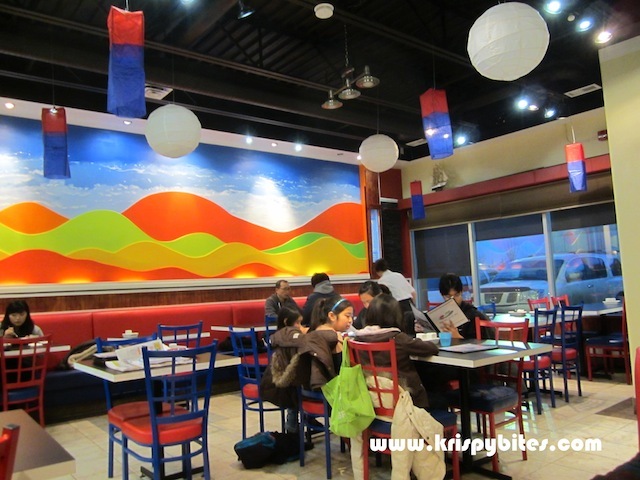 The decor inside was bright and cheerful and full of Korean flavour. As soon as we were seated, we were given menus and complimentary tea. In my experience, the staff have limited English capabilities, so it can be a bit of a challenge to ask questions regarding menu items. But service was excellent and tea was refilled promptly throughout the meal even if the cup was not empty. The waitress said she wanted to make sure our drinks were kept warm. Our dinner started off with complimentary congee and side dishes. 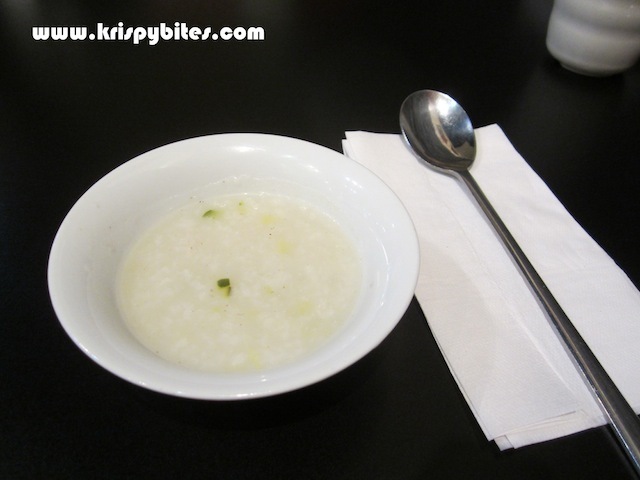 My favourite part of the entire meal was the congee because it was so fluffy and tasty and served as a light Asian style amuse-bouche that was both warm and comforting. 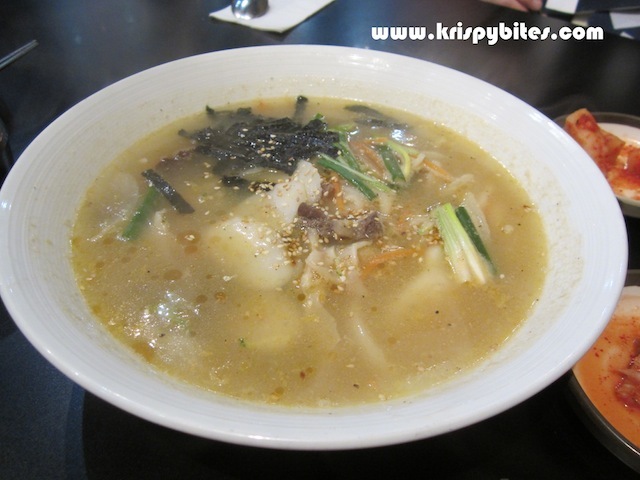 The rice stick mandoo dumpling soup ($10.99) was very savoury and peppery. The rice cake and dumplings were a bit mushy and bland, but the soup was just bursting with flavour. I was really thirsty after drinking it though, so the sodium content was probably quite high. 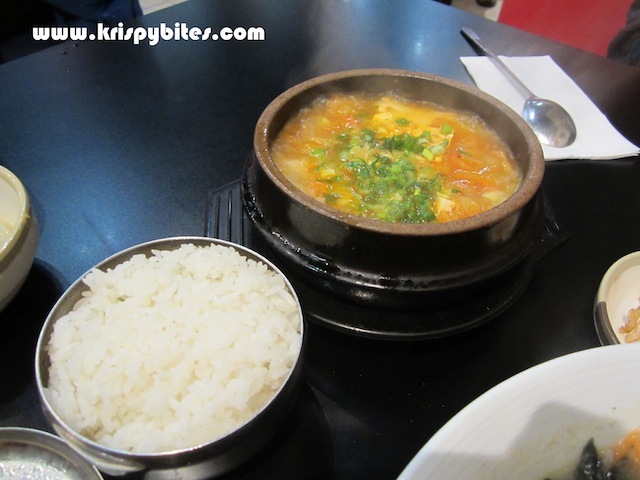 The original kimchi stew ($10.99) came with a bowl of rice. Along with the side dishes, this made for a satisfying meal complete with pork, assorted veggies and tofu. The fried chicken (half: $15) is supposed to be the specialty here, but I didn't like the overly dry and crispy batter. The hot sauce was really good though; it was a nice blend of piquant spiciness and sweetness. What I really like about this place is all the free stuff: tea, congee, and side dishes. Service is consistent and the food is generally quite good. The only issue is that the menu is limited, but that's to be expected at a family style restaurant. I would go to B-Bim-Baab if I wanted more variety, but this place is good enough for a casual lunch or dinner. 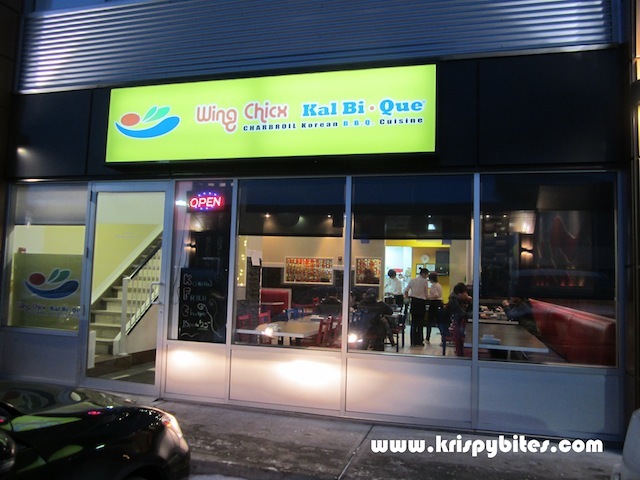 Wing Chicx has expanded their menu quite a bit over the last year. Some of my new favourites include the deep fried sweet potato ($4.99) and the pork belly ($19.99) served with lettuce. Also the black raspberry wine ($20/bottle), known as bokbunjajoo in Korean, is deliciously smooth and fruity. I really enjoy the sweet potato chunks as an appetizer or side dish. 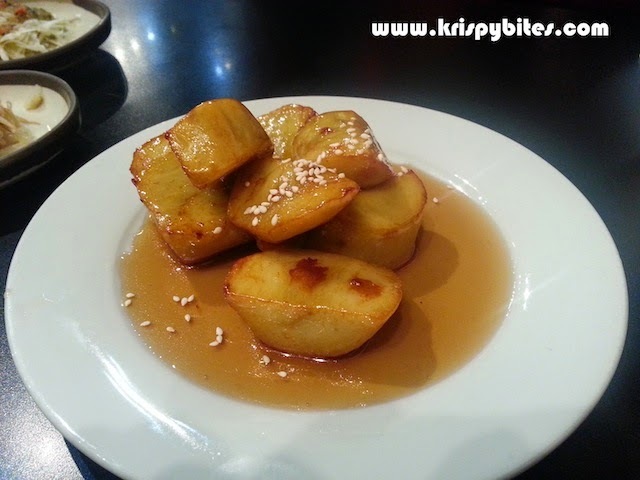 They are fried without a batter and are coated in a sweet and sticky maltose sauce. 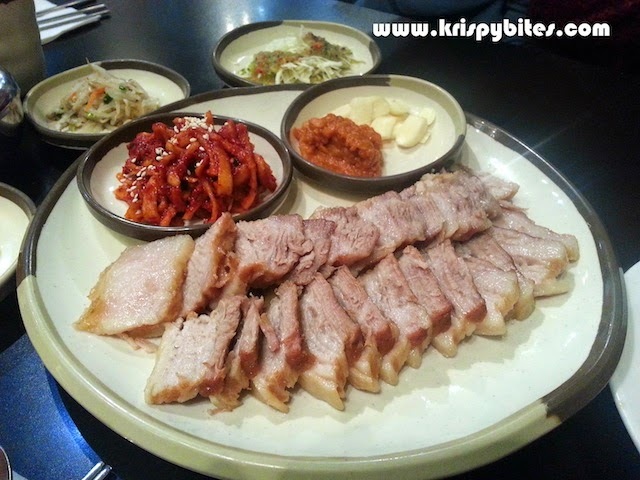 The pork belly slices are half lean and half fat, served with spicy radish, a soybean paste, and raw garlic slices. 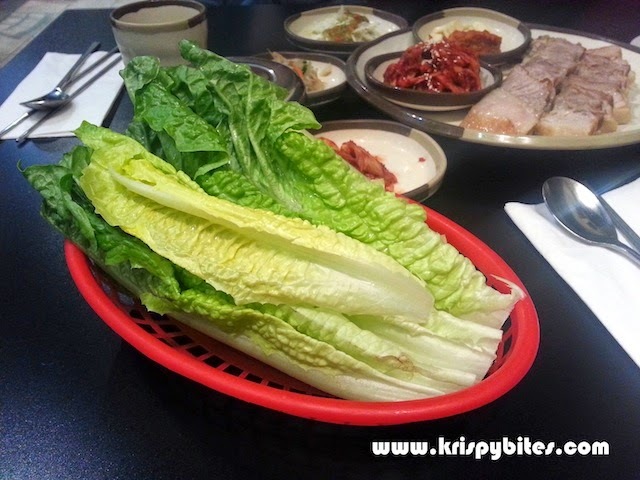 The crisp lettuce leaves are used as a wrapper for the meat.